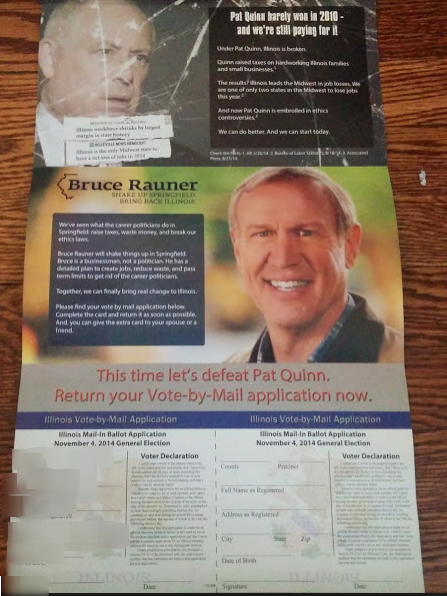 Rauner Launches Vote By Mail Drive: "Quinn Won By Just 3 Votes Per Neighborhood Last Time"
Illinois candidate for Governor Bruce Rauner is out with a 'vote by mail' drive this week as one of our readers emailed us some photos of a ballot that was sent to his wife. Even though they're both typically Republican voters. 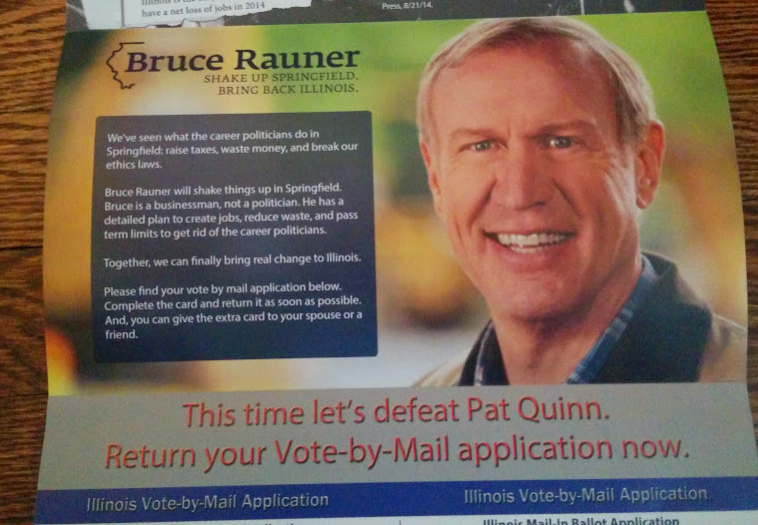 Not sure if that means Rauner senses an opportunity with women. This tipster says his wife is a working mother who travels for work, so perhaps the Rauner organization is *that* sophisticated that they're able to target likely Republican voters who travel for work and thus might be on the road on election day? That'd be pretty incredible, wouldn't it??? Anyway...The piece leads with the statement: "In 2010, Pat Quinn was re-elected by less than 3 votes per neighborhood. Don't let Quinn have four more years. Your vote by mail application is enclosed." 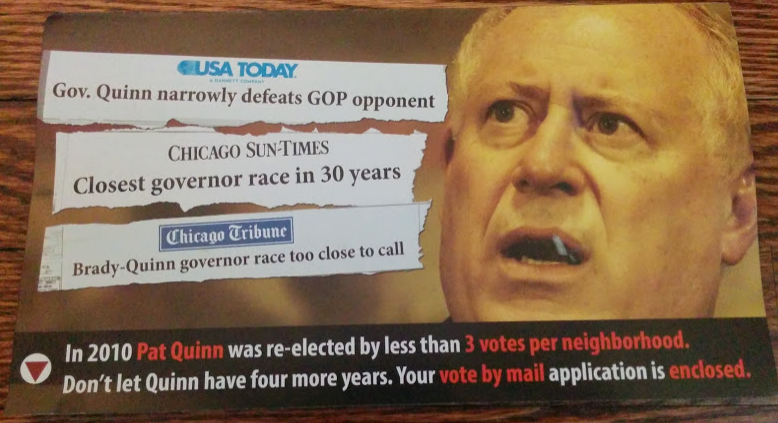 Inside was a tri-fold piece that had a "Pat Quinn barely won in 2010 - and we're still paying for it" message. 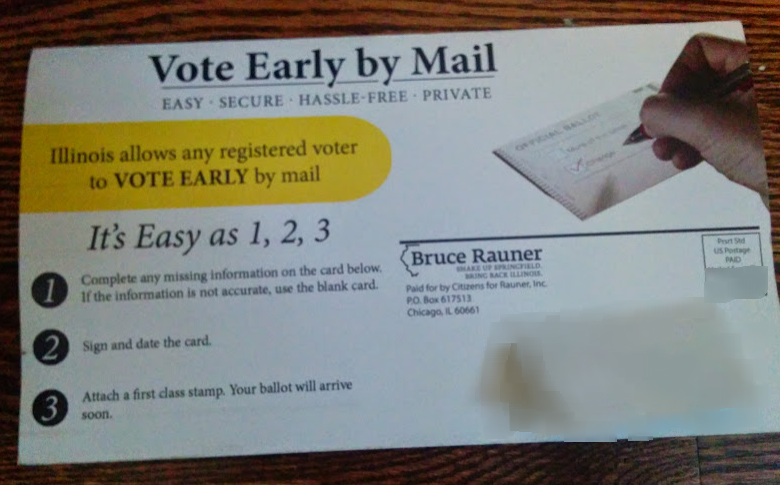 Followed by a section about Bruce Rauner and finally the vote by mail application. 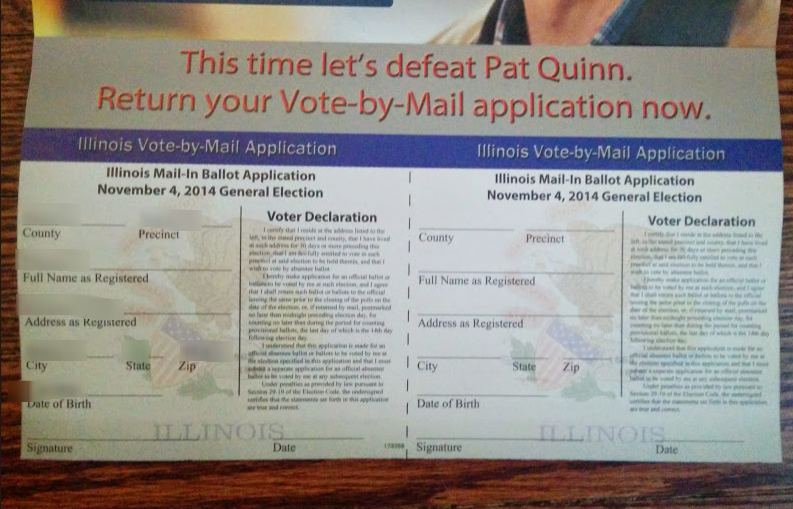 Pat Quinn barely won in 2010 - and we're still paying for it. 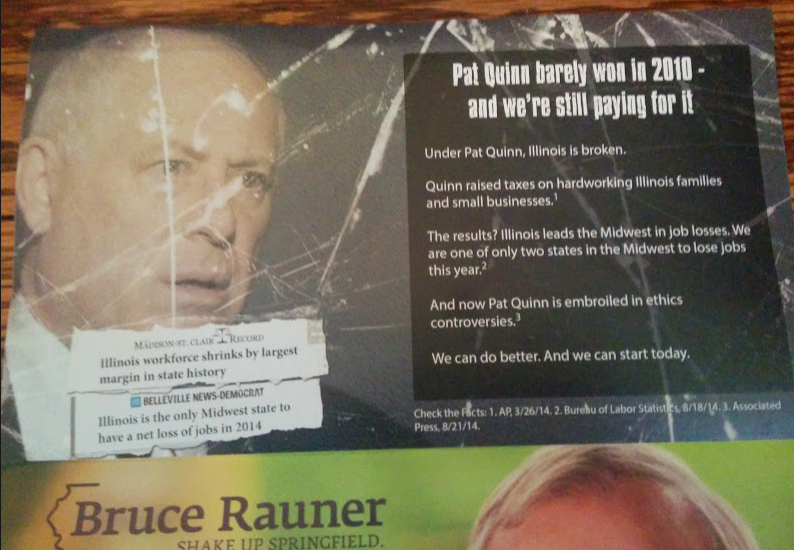 Under Pat Quinn, Illinois is broken. Quinn raised taxes on hardworking Illinois families and small businesses. The results? Illinois leads the Midwest in job losses. We are one of only two states in the Midwest to lose jobs this year. And now Pat Quinn is embroiled in ethics controversies. We can do better. And we can start today.